DOHA, Qatar ― The first steel cutting of the Qatari Emiri Navy’s corvettes is set to take place in July while the delivery of the first two units ― one corvette and one offshore patrol vessel ― is expected in 2021, according to the vice president of the Qatar program at Fincantieri’s naval vessels business unit. “We are very excited about the very first steal cutting due later this July. 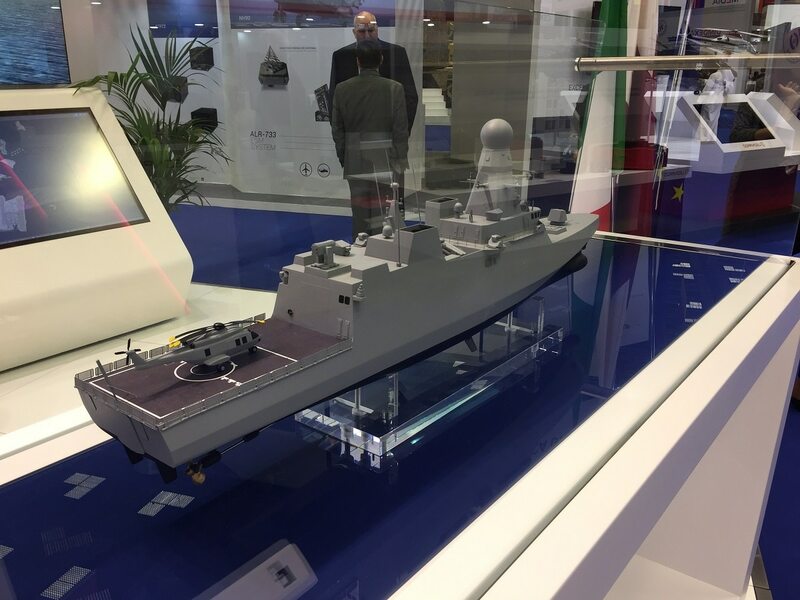 We are currently working on the corvettes design phase and are then planning to enter the OPV’s design phase, [of] which first steel-cutting is due next year,” Davide Traverso said March 14. In August, Qatar confirmed its order for seven vessels from Italian shipyard Fincantieri, following the signing of a preliminary contract in June 2016. The deal consists of four corvettes, each more than 100 meters in length, two offshore patrol vessels and one landing platform dock. Following the design phases for the corvettes and the OPVs, the company will focus the LPDs, Traverso said. The full program ― including MBDA’s coastal defense systems and land-based missile stations ― will cost more than $5 billion. Although the units are being constructed in Genoa, Italy, the shipyard “will definitely help grow the Qatari naval business by bringing up ship-maintenance infrastructure to the Gulf country,” Traverso noted. “The program will be a big boost for our shipyards in the naval business area, but I would say the same for Qatar, as we will be staying there for approximately 10 years in order to maintain the naval units,” he added. For its part part, the Navy is drafting operational requirements and has gotten a team of 10 people, including eight officers, involved. For the first time ever, Fincantieri showcased the multirole air defense corvettes for the Navy at the Doha International Maritime Defence Exhibition and Conference held last week in Qatar. Although the current status of the design is expected to change on a regular basis because of the continuous rearrangement of the electronic equipment and weapon systems, the existing configuration revealed at DIMDEX “won’t change a lot,” Traverso said. In terms of weapons, the corvettes will be fitted with a 76mm main gun by Leonardo, in addition to Aster 30 surface-to-air missiles and Exocet anti-ship missiles by MBDA. Leonardo is also responsible for the integrated supply of the new naval units’ combat system Athena and main radar system Kronos. The OPVs will be equipped with MBDA’s ground-based air defense system deploying the MICA fire-and-forget missile and Exocet missiles, as well as Leonardo’s Kronos radar. The LPD, it will be fitted with MBDA’s Aster 30 missiles and the L-band active electronically scanned array radar. The corvette design selected by the Navy has a length of 107 meters and a draft of 4.2 meters for a full-load displacement of 3,250 tons. Its maximum speed is set to be 28 knots, and its range 3,500 nautical miles (at 15 knots). The crew is 112-strong, and the flight deck and hangar are sized for one NH90 helicopter. To read more defense news from the Middle East in Arabic, visithttp://sdarabia.com/.